När Fyr is a lighthouse on the peninsula Närsholmen near När on Gotland, Sweden. 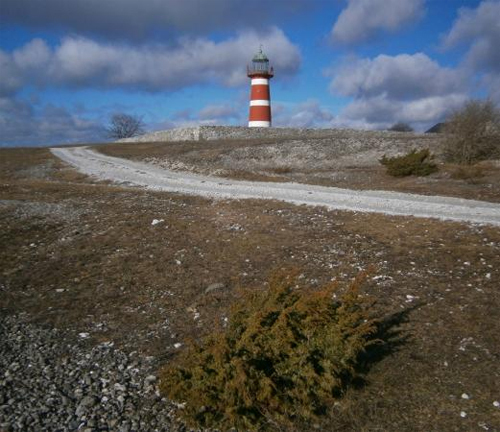 När Lighthouse is a Swedish lighthouse located outside the village När on the southeast side of the island Gotland. It was constructed in 1872, the sketchings were made by architect John Höjer. It is located in a nature reserve and birding area. It is a listed building in Sweden. The light originally carried a kerosene lamp and it was updated with electric power in 1961. It was also automated that same year, and the rotating lens was replaced by a modern one. It is owned by the Swedish Maritime Administration. 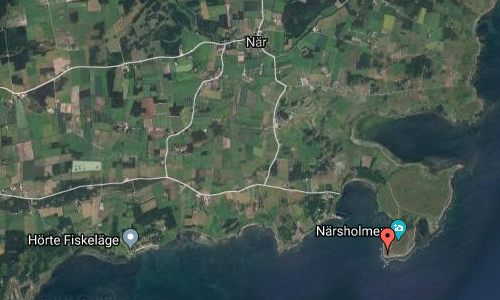 När is a settlement on the Swedish island of Gotland, with 413 inhabitants in 2014. Formerly a socken, on 1 January 2016, it was reconstituted into the administrative area När District. 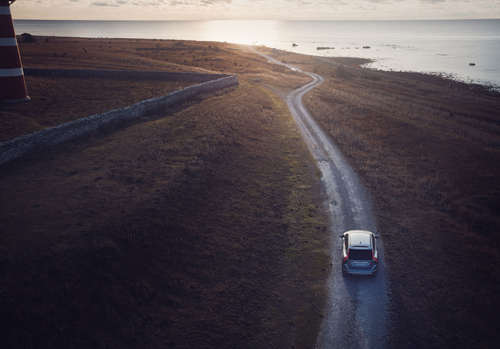 Gotland is Sweden’s largest island. The province includes the islands of Fårö and Gotska Sandön to the north, as well as the Karlsö Islands (Lilla and Stora) to the west. 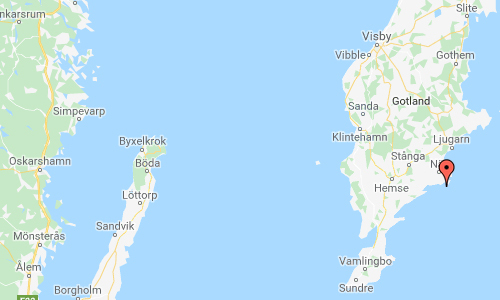 The island of Gotland and the other areas of the province of Gotland make up less than one percent of Sweden’s total land area. The island’s main sources of income are agriculture along with food processing, tourism, information technology services, design, and some heavy industry such as concrete production from locally mined limestone. 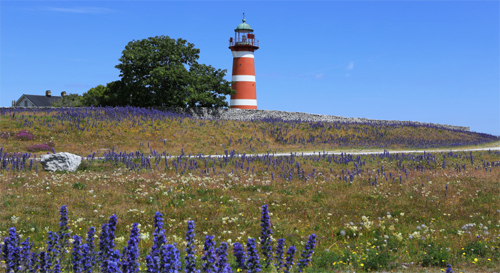 From a military viewpoint, it occupies a strategic location in the Baltic sea. 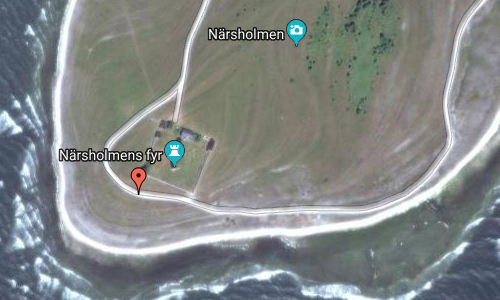 More information at fyr.org and sv.wikipedia.org.